Provides the ankle with maximum protection. Ankle bones are often scraped up during a fall since they jut out from the sides of the legs. 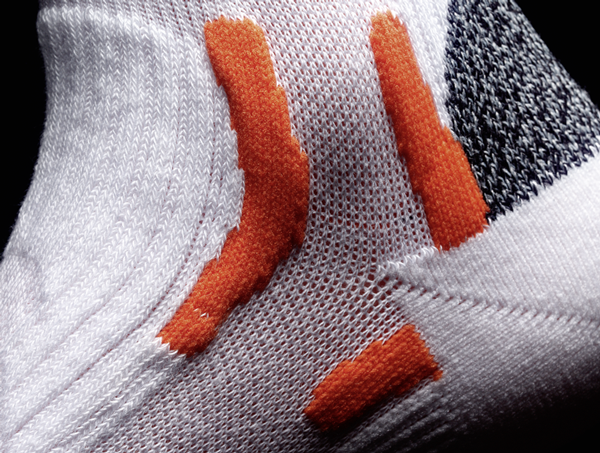 To protect the exposed ankle, X-SOCKS® developed high-performance paddings. The crescent-moon-shaped alignment of the pads offers the best possible protection without affecting the ventilation ability of the AirCondtioning Channel®.